As we approached the bench, Em said, “Oh, there’s the reason this one’s empty!” He was referring to the paint that had been drizzled across the wood slats. But, to me it looked like dried, glossy enamel, which can often give the appearance of being fresh. So I took my right index finger and lightly touched the paint. “Argh! It is wet paint! !” I declared. I then took a tissue from my pocket and wiped my finger. To my surprise, the wetness came off, but the violet color remained. My finger was semi-permanently dyed. I went into a nearby restroom to wash my hands. Nothing phased the stain. I examined more closely. My finger made it look as though I’d recently voted! I showed Em. 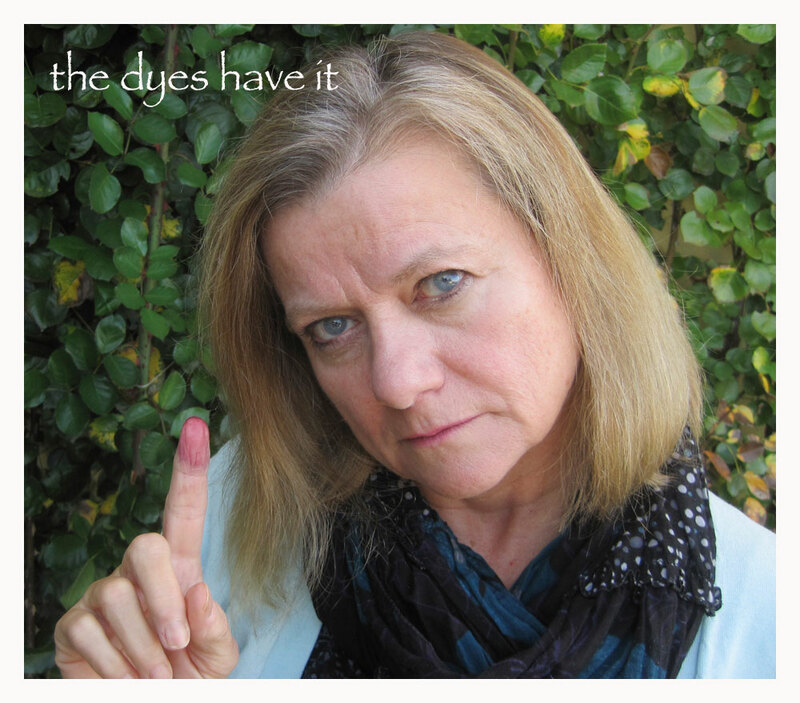 And suddenly, I felt pleased with my dyed finger. Election ink is common practice in many countries, mostly to control the possibility of voter fraud, but it has become the symbol of the right and privilege to vote. I remember seeing photos of women, proudly displaying their raised tinted fingers to prove that they’d exercised their right. I read that in India, the ink is applied in a line across the cuticle, where only new growth can remove the color. What a wonderful badge of courage and patriotism, pride and responsibility. As the US presidential election nears, I’m reminded of that day in the park and my inky finger. Last Wednesday we took our absentee ballots to the American Consulate. It’s amazing to me that even though we are thousands of miles away from home, we still retain contact—and our American rights. Sometimes that very connection makes me feel even more patriotic. So, last week we submitted our ballots. We voted. No one stained our fingers and nobody gave us an “I Voted” pin. But, I must say that, for me, voting is more than a right. It’s an honor. I never want the outcome of any election to be by default—that I was too disinterested, too apathetic, too lazy to make the effort. Though I often like to think of myself as a “global citizen,” I am also a staunch American patriot. And since I am a woman, a teacher, an artist, and a humanitarian, I typically vote in support of those causes no matter which party is represented. 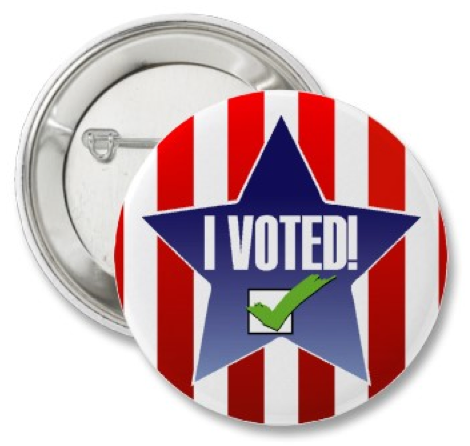 Whether my preferred candidate is victorious or not, I still cast MY ballot. MY voice has been recorded. Not able to be forgotten or removed. INDELIBLE! Prev Post: Good for What Ails You!